One column contains the list of your databases. The other column is a sidebar containing different boxes. 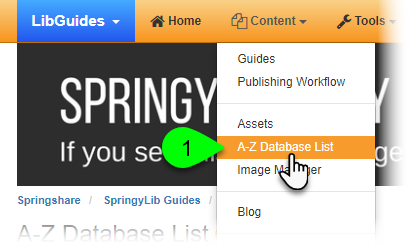 If you are using the default A-Z Database List template, the Sidebar Placement option allows you to choose whether the sidebar displays on the left or right of the A-Z Database List page. 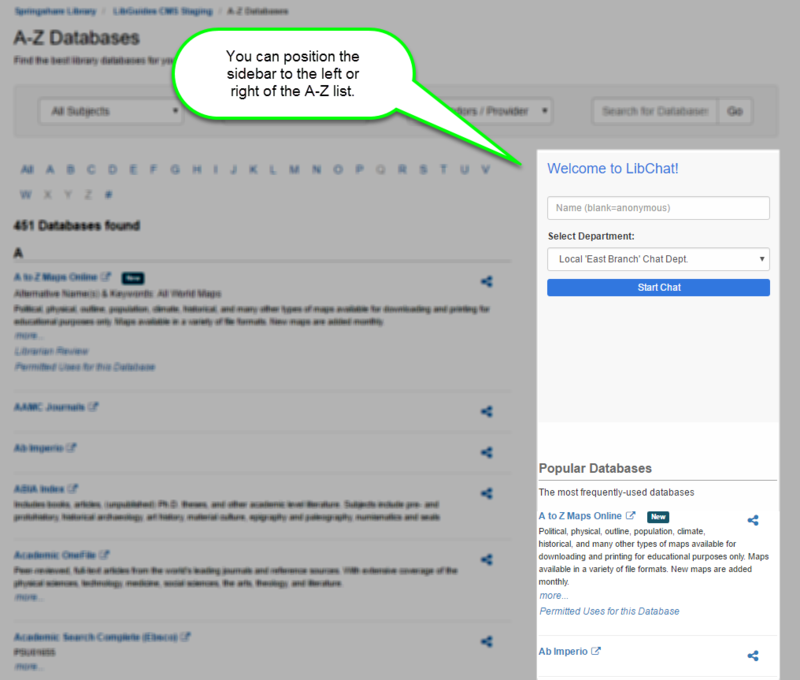 Under Sidebar Placement, toggle the A-Z Database List Placement option from Right to Left as needed. Note: If you are using a customized A-Z Database List template, this setting will not be applied. Instead, you will will need to swap the columns in your template's HTML code.